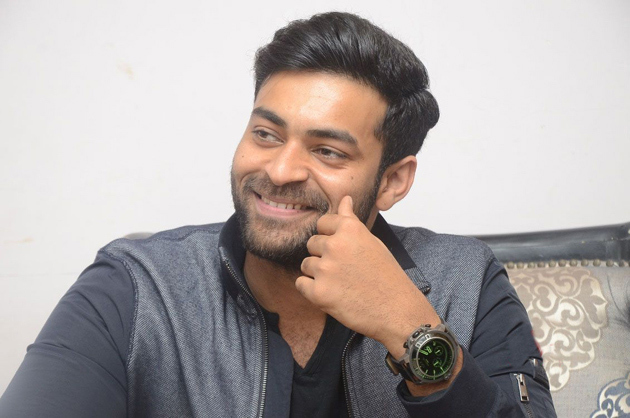 ﻿ Varun Tej Becomes The New Market Favorite! Mega fans have become one of the reliable fan bases for the Telugu film Industry as they have been supporting all of their heroes through their bad and good phases. Producers are able to trust the heroes to gain a solid opening and good long run profits, if the movie becomes a hit. Sai Dharam Tej, even though couldn't deliver hits did not lose fans. Ram Charan could deliver a Non- Baahubali biggest hit this year with Rangasthalam. Allu Arjun has become a star of his own might and Varun Tej is gaining more support now. He couldn't deliver a hit till Fidaa, but Tholiprema, his next film just erased all previous bad memories of his. With the offers that Anthariksham 9000kmph is getting from trade and the expectations of trade on F2 - his multi-starrer with Venkatesh, directed by Anil Ravipudi and produced by Dil Raju, many think he is growing a good reputation for himself in trade circles. If one of the both or both the films become successful, he will be the new hero that will have big back up from Mega fans and a market that will promise to save Rs. 25-30 crores budget films, for sure. Currently, Nani has such market and Vijay Devarakonda is growing constantly. On the other hand Nithiin, Nikhil, Sharwanand haven't been able to grow so much after their break through hits. So, for medium budget films, Varun Tej is seen as the new hope. All he need is his next releases to at least get their investment back which strengthens the trade belief and guarantees different films for audiences too.